Affair number three is “I Don’t Want to Say No.” With someone who is involved in an “I don’t want to say no” affair, there is usually a low emotional investment in that relationship. We’re talking here about the theme of narcissism. Someone who is involved in an affair, who says, “I don’t want to say no” usually has some narcissistic tendencies, which means that they are entitled, they’ve worked so hard, they’ve done so many great things that they’re entitled to this type of affair. Again, the issue is not so much on developing a warm, intimate relationship as it is, just getting my needs met and having people serve me and be subservient to me. Now, the risk you have here, if you confront your cheating spouse who’s involved in an “I don’t want to say no” affair, is that you may intensify the anger. Often, an narcissistic person will use anger to push people away. If that person is fairly well entrenched in their narcissism, it just may stir up the anger and you’re out of the picture. The reward here is that in confronting the other person, you may find that you have a lot in common with the other person because the other person is being duped, as well. You may discover that your cheating spouse is telling the other person lies about you and telling you lies about the other person. 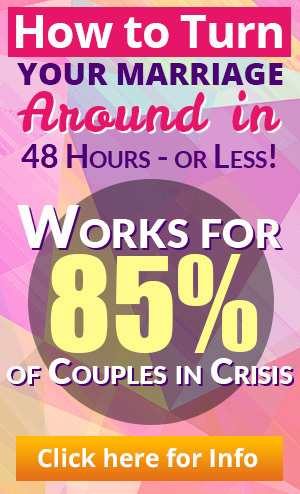 By creating an alliance here with the other person, the cheating spouse is caught. That may be a catalyst for some type of change. Again, confronting the other person with this knowledge, you may feel a sense of empowerment, because it’s very difficult often to feel a sense of power with a narcissistic person. This person, the narcissistic person, wants you to be powerless in his or her sight. To feel a little bit of power here, that you do have some influence, that you do have some control, that you are not subservient, can really help you move in a positive direction. 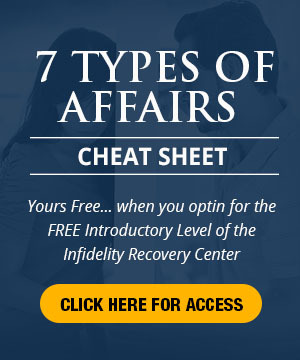 This entry was posted in Dr. Huizenga's Blog Posts, Emotional Infidelity, Infidelity Marriage, Infidelity Reasons, Learn How to Confront the Other Person, Surviving Infidelity, Types of Affairs and tagged cheating spouse, infidelity, Learn How to Confront the Other Person, Types of Affairs. Bookmark the permalink. My husband chose to develop an emotional relationship with a girl half his age (early 20s) at work. He fits the description of the mix, my marriage made me do it and I don’t want to say no. Narcissism runs in his blood and he wanted his needs met to fuel his ego instead of his heart and mind. He truly was caught when I found out one evening at home when I turned on my iPad and for some reason my iPad had synced with his so I saw the conversation and pictures appear before my eyes, it was just scrolling by. He lied, denied, and would not reveal the truth. He was more angry that he got caught than ashamed at what he had done. so I texted the young woman, got to chat and get lots of info from her and then confronted him after. I took the power and made it mine and it is what I needed to remain calm and collected. He became very unsure as to what would happen next and I explained what I needed from him and although it took a very long time as he was entrenched in this new babe he had in the palm of his hand, he got over it for the most part. I rebuilt my life, got a new hobby, new friends, and he sees that it doesn’t matter if he stays or leaves I have it covered. I am doing well, I have learned a lot from reading the book Break free from the affair and charging neutral. I swear my husband did not know what hit him! So stay strong and good for you for finding the strength and getting that power to help you in your relationship. And just to fuel this a little more, what made my husband look outside of the marriage is due to me finding out I had diabetes and needed to make a radical life change which I did in order to become healthier. While I was focussing on myself, I did not focus on him as much of course and he lacked attention so he went outside the marriage to get what he was craving instead of speaking with me. This would have easily been rectified had I known what I was doing or not doing for him at the time because I was quite freaked out about my situation at the time. It did help to know why. I’d like to hear from you both also on how things went. 100 percent CORRECT!! They Will CHEAT in one form or another. No Integrity or Truth in them. Patterns are patterns especially when a person is only Angry at being caught (i got called a tattle tale!). Boo F’n Hoo I made your little girlfriends 😢 You & They deserved what happened-Our Children & I DID NOT!! I was married to a narcissist who had numerous affairs for almost 40 years. I left and it was the BEST thing I have ever done. People like that don’t deserve to have you in their life children or no children! Having said that, I tired to stick with marriage after I discovered my wife was cheating on me three two months after we got married after 7 years of relationship…, it did not work out, but I know I did everything I could to save the marriage and understand her…I realized at one point that she no longer wanted to be with me and I accepted and moved on…but then, I was able to learn from the relationship where things I could have done better because although she should never have done what she did, I would certainly made our relationship better if I had known what she might have been going through…so it was good lesson I learned and the lesson I learned was so valuable. I am now in a new and better relationship, but had I now going through what I had gone through, I would not be able to appreciate and treasure this new relationship as much as now. So everything happens for a reason and as long as you can always take full responsibility for what happens and learn from the mistakes and stay positive and don’t turn sour because of the bad experience, God will help you have better life and bless with you happiness. Do the best you can and when the time come for you to know that it’s time to move on, just move on and learn from the experience. You will be amazed how much you have grown from the experience!! Its an encouragement to read what you have written. I just hope I can. I am planning to walk away from marriage of 21 years and move on because my husband affair and he can let the other woman go. It’s too painful for me to stay. Stay strong, i assure you theres no way that you will have it worse. A little bit hard at first, but soon as each day passes by, you will feel and know, you made the correct decision.